Ethan Daniels is a nature photographer and biologist who focuses on aquatic subjects around the world. 8,333 stock photos, vectors, and illustrations are available royalty-free. 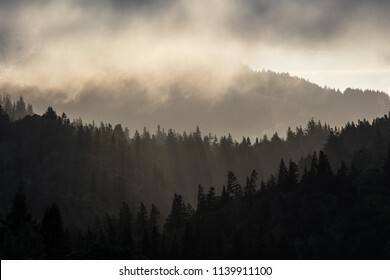 Sunlight illuminates the endless forest found in Humboldt in Northern California, where some of the world's largest old-growth Redwood trees thrive. Massive Redwood trees can live over 2,000 years. 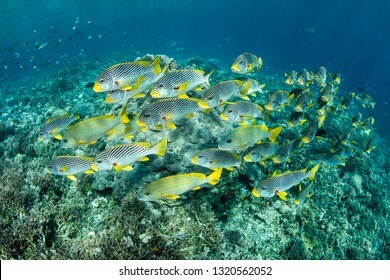 A school of Lined sweetlips swims over a reef in Raja Ampat, Indonesia. This remote region is known for its astounding marine biodiversity and is a popular destination for scuba divers and snorkelers. 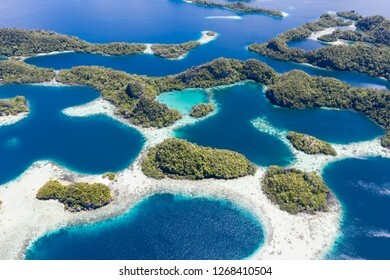 Limestone islands rise from a gorgeous lagoon in Wayag, Raja Ampat, Indonesia. This remote, tropical region is known as the heart of the Coral Triangle due to its incredible marine biodiversity. 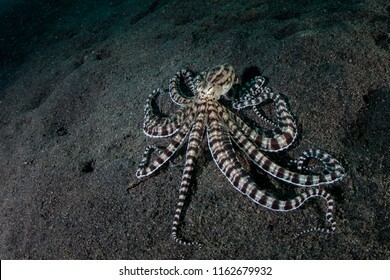 A Mimic octopus, Thaumoctopus mimicus, crawls across the black sand seafloor of Lembeh Strait, Indonesia. This rare cephalopod can mimic the behavior and shape of other marine creatures. 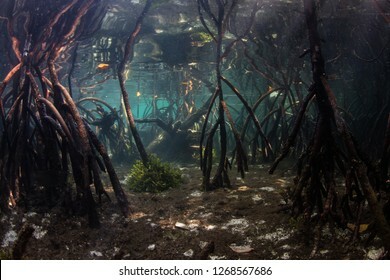 Specialized prop roots rise from the seafloor in a mangrove forest near Flores, Indonesia. This tropical region, in the Coral Triangle, harbors extraordinary marine biodiversity. Remote limestone islands in Raja Ampat, Indonesia, are surrounded by healthy coral reefs. This biodiverse region is known as the "heart of the Coral Triangle" due to its amazing marine life. Clouds of colorful reef fish swarm above a vibrant coral reef slope in Alor, Indonesia. This remote, tropical region is home to a spectacular array of marine biodiversity. 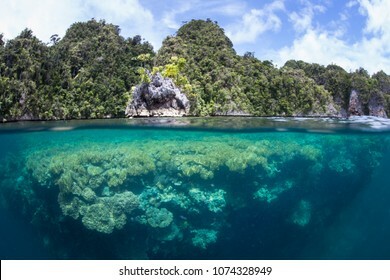 Healthy corals thrive in Raja Ampat, Indonesia. This beautiful and remote region is known for its astounding marine biodiversity and is a popular destination for scuba divers and snorkelers. 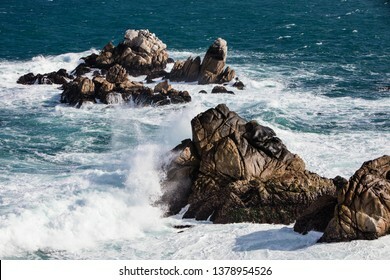 The cold, nutrient-filled waters of the Pacific Ocean wash against the rocky coastline of Monterey, California. This scenic area of the west coast is home to extensive kelp forests. 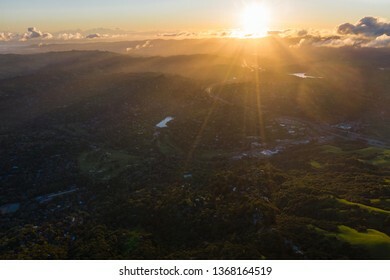 The bright sun rises over the East Bay hills in the San Francisco Bay area of Northern California. 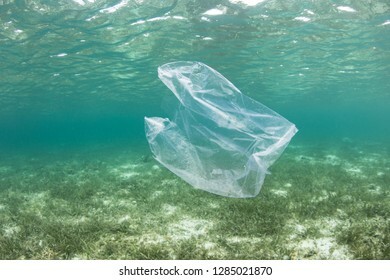 A discarded plastic bag drifts through the waters of Raja Ampat, Indonesia. This biodiverse region is known as the "heart of the Coral Triangle" due to its amazing marine life. 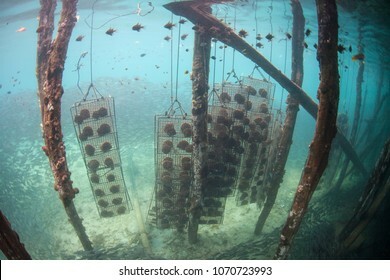 Pearl oysters hang below a pier in Alyui Bay, Raja Ampat, Indonesia. Profitable pearl farms are quite common in this remote region. 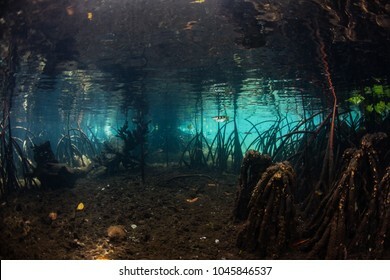 Prop roots descend to the seafloor in the shadows of a blue water mangrove forest in Raja Ampat, Indonesia. Mangrove habitat provides vital nurseries for many reef fish and invertebrates. 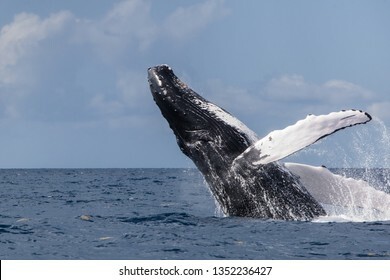 A huge Humpback whale, Megaptera novaeangliae, breaches out of the blue waters of the Caribbean Sea. 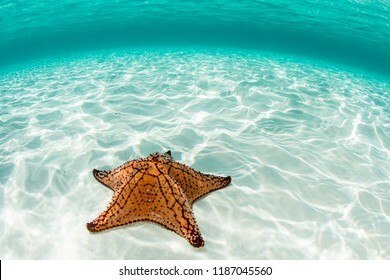 A colorful West Indian sea star lies on a shallow, sandy seafloor off the coast of Belize. This area is home to the Mesoamerican Reef System, the second largest barrier reef in the world. 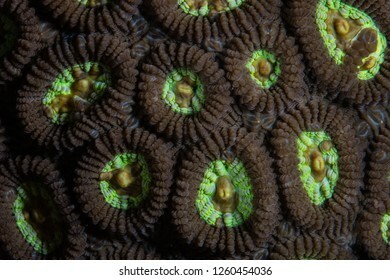 Detail of coral polyps growing on a reef in North Sulawesi, Indonesia. This region is part of the Coral Triangle and is home to extraordinary marine biodiversity. 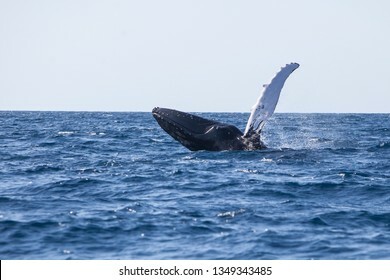 A young Humpback whale, Megaptera novaeangliae, breaches halfway out of the blue waters of the Caribbean Sea. 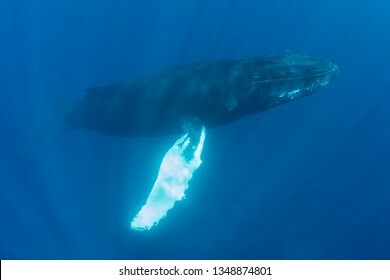 A massive Humpback whale, Megaptera novaeangliae, swims in the clear, blue waters of the Caribbean Sea. 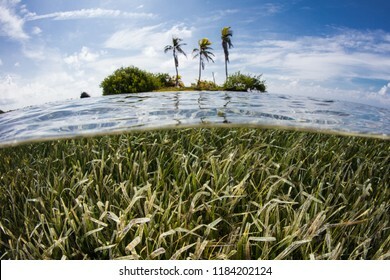 A shallow seagrass meadow surrounds a tropical island on the Mesoamerican barrier reef off the coast of Belize. 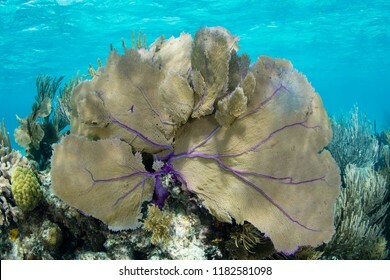 This part of the Caribbean Sea harbors hundreds of fish species and dozens of corals. 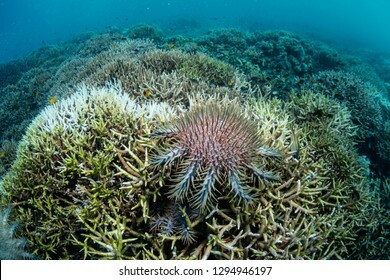 A Crown of Thorns starfish feeds on living corals on a reef in Raja Ampat, Indonesia. These sea stars sometimes occur in huge numbers and can destroy entire swaths of reef. 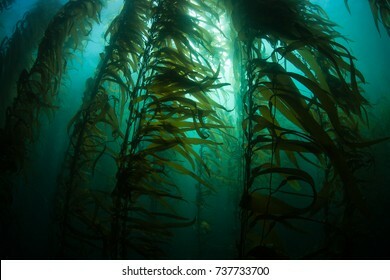 Giant kelp (Macrocystis pyrifera) grows in a thick, submerged forest near the Channel Islands in California. 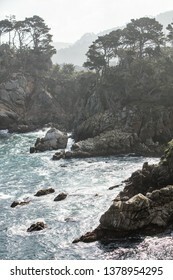 This area is part of a National Park and is teeming with thousands of marine species. 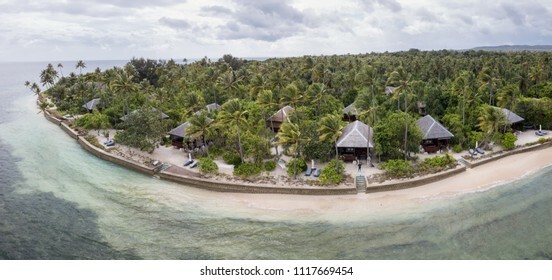 A luxurious tropical resort looks out on a beautiful reef flat in Wakatobi National Park, Indonesia. This area harbors an amazing array of marine biodiversity and is within the Coral Triangle. 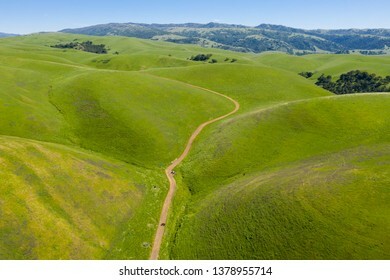 An aerial view of the hills to the east of San Francisco Bay in California. Much of this beautiful area is designated as open space, parks, and recreational areas. 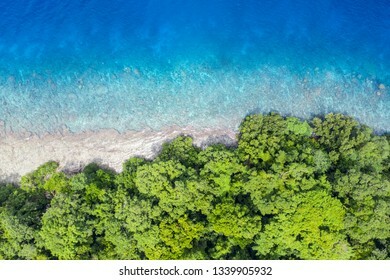 Aerial view of reef and rainforest in Papua New Guinea. The remote, tropical islands in this region are home to extraordinary marine biodiversity and are part of the Coral Triangle. 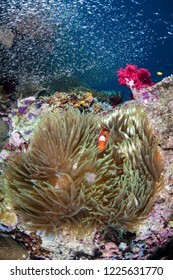 A White-Bonnet anemonefish, Amphiprion leucokranos, is found in Papua New Guinea. The tropical islands in this region are home to extraordinary marine biodiversity and are part of the Coral Triangle. 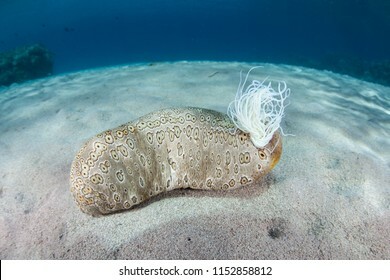 A sea cucumber, Bohadschia argus, on a reef in Papua New Guinea emits sticky cavierian tubules when disturbed. 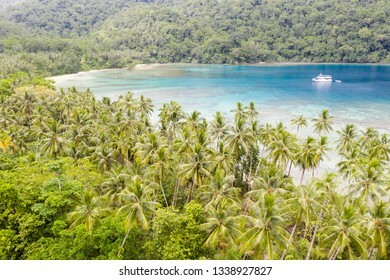 Coconut palms thrive on the island of New Ireland in Papua New Guinea. This remote, tropical area is part of the Coral Triangle due to its high marine biodiversity. 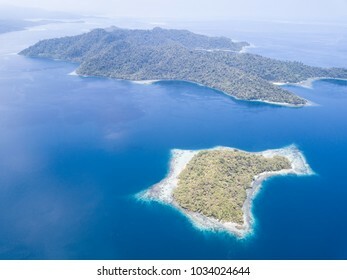 Aerial view of islands and coral reefs in Papua New Guinea. 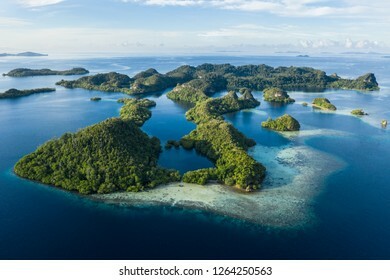 The remote, tropical islands in this region are home to extraordinary marine biodiversity and are part of the Coral Triangle. 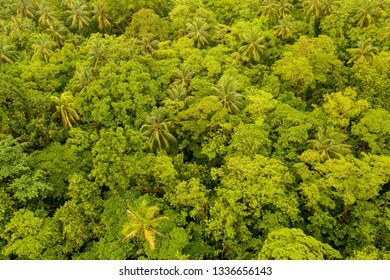 Lush rainforest grows on the island of New Britain in Papua New Guinea shows. This remote tropical area is part of the Coral Triangle due to its high marine biodiversity. 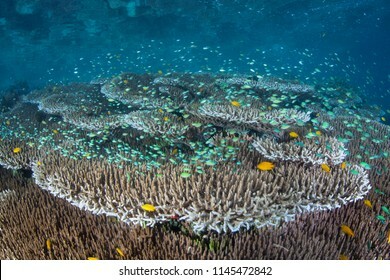 A shallow, healthy coral reef thrives near limestone islands in Misool, Raja Ampat, Indonesia. This tropical region is known as the heart of the Coral Triangle due to its marine biodiversity. 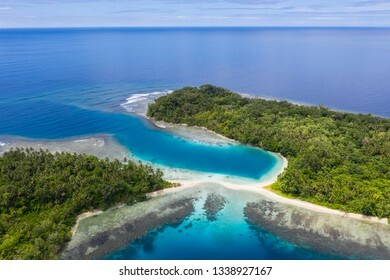 A bird's eye view of the remote island of New Ireland in Papua New Guinea shows reef growth along the coastline. 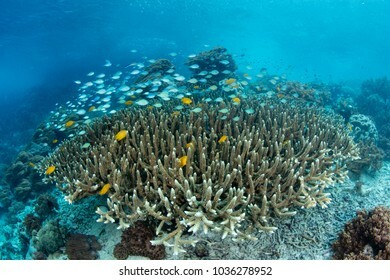 This tropical area is part of the Coral Triangle due to its high marine biodiversity. 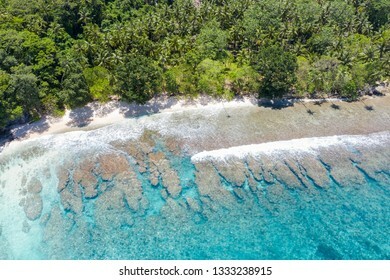 An aerial view of the remote island of New Ireland in Papua New Guinea shows rainforest and reef. 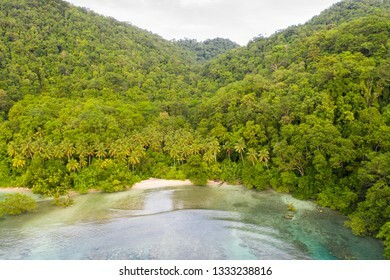 This remote area is part of the Coral Triangle due to its high marine biodiversity. 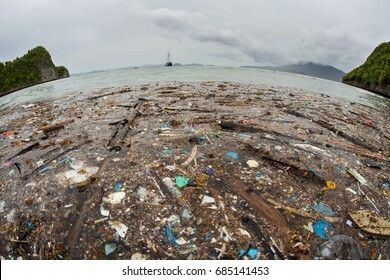 Discarded plastic has washed up near a remote island in Raja Ampat, Indonesia. Plastic is an ever-growing danger to marine ecosystems throughout the world. A rare Mimic octopus, Thaumoctopus mimicus, crawls across the volcanic sand seafloor in Lembeh Strait, Indonesia. This octopus can imitate the behavior and shape of other creatures that it has seen. 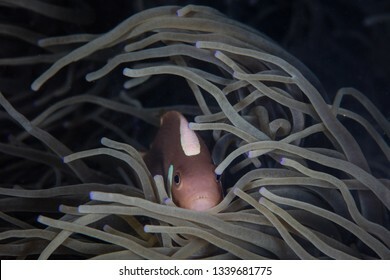 A Clark's anemonefish, Amphiprion clarkii, snuggles into its colorful host anemone. This is a classic example of a mutualistic symbiosis in which both species benefit from the relationship. 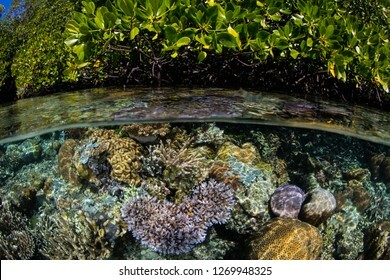 A beautiful coral reef grows along the edge of a blue water mangrove forest Raja Ampat, Indonesia. This biodiverse region is known as the "heart of the Coral Triangle" due to its amazing marine life. 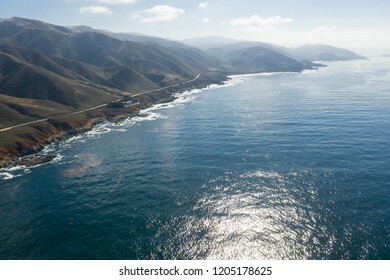 The calm, cold waters of the North Pacific Ocean wash against the rocky and scenic coastline of Northern California not far from Monterey. 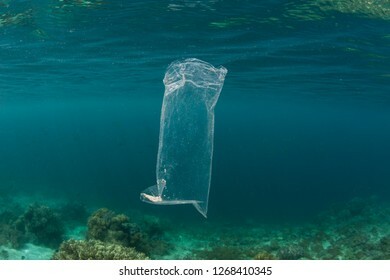 A discarded plastic bag drifts through the sea in Indonesia. 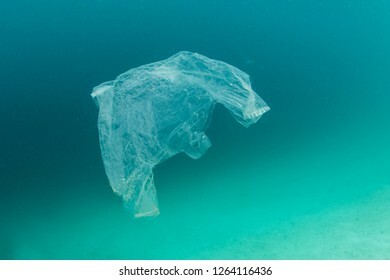 Non-recyclable plastics eventually break down into tiny pieces, entering the ecosystem and harming the entire food chain. 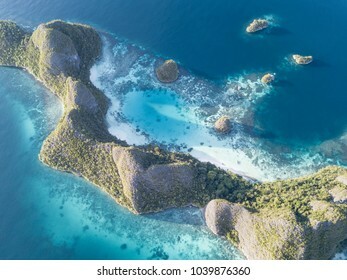 Seen from the air, early morning light illuminates limestone islands found in Raja Ampat, Indonesia. This remote, tropical region is known for its incredible marine biodiversity. 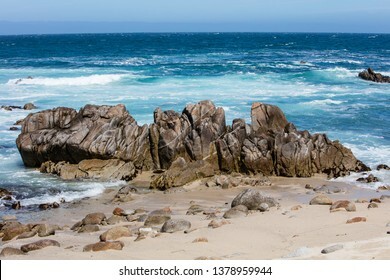 The cold, nutrient-filled waters of the Pacific Ocean wash against the rocky coastline of central California in Monterey. This scenic area of the west coast is home to extensive kelp forests. Colorful reef fish swim above healthy corals in Raja Ampat, Indonesia. This remote, tropical region is famous for its incredible marine biodiversity. 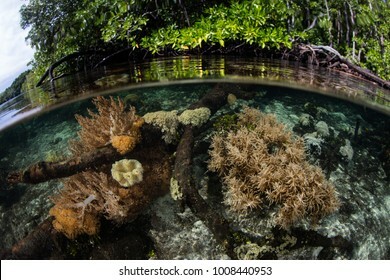 Healthy corals grow in the shallows fringing a mangrove forest in Raja Ampat, Indonesia. This area is known as the "heart of the Coral Triangle" due to its incredible marine biodiversity. 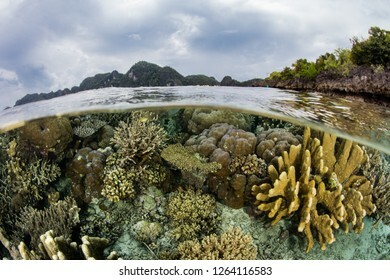 A beautiful and healthy coral reef grows among the remote islands of Raja Ampat, Indonesia. This biodiverse region is known as the "heart of the Coral Triangle" due to its amazing marine life. 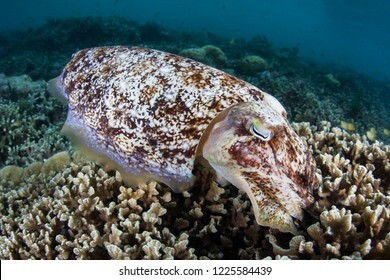 A well-camouflaged Broaclub cuttlefish, Sepia latimanus, blends into a coral reef in Komodo National Park, Indonesia. 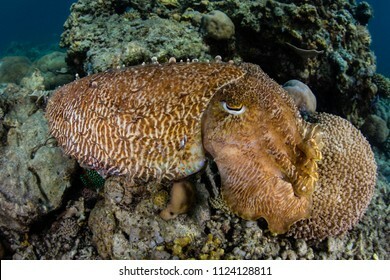 A Broadclub cuttlefish, Sepia latimanus, lays eggs in a coral reef in Raja Ampat, Indonesia. 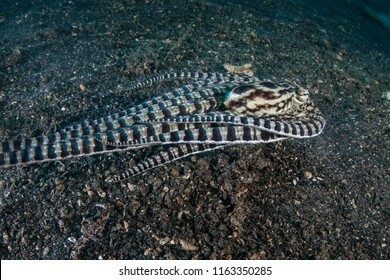 Cuttlefish have the ability to change their color to communicate or to camouflage themselves. 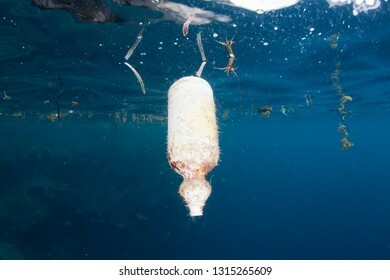 A plastic bottle floats amid the tropical islands of Raja Ampat, Indonesia. Plastics are polluting all of the Earth's oceans, killing wildlife and eventually entering the human food chain. 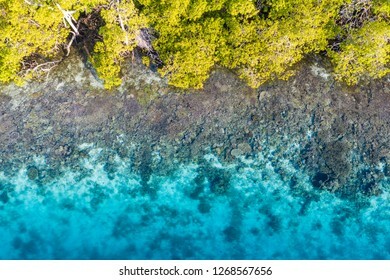 Seen from above, a shallow coral reef surrounds remote islands in Raja Ampat, Indonesia. This biodiverse region is known as the "heart of the Coral Triangle" due to its amazing marine life. 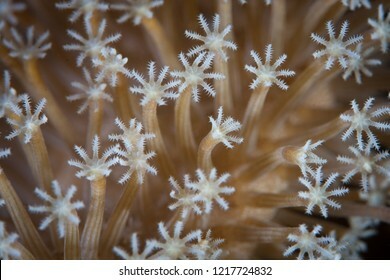 Detail of the polyps of a coral colony growing on a coral reef in Raja Ampat, Indonesia. This area is known for its amazing marine biodiversity and is a popular destination for scuba diving. Limestone islands rise from a gorgeous, coral-filled lagoon in Wayag, Raja Ampat, Indonesia. This remote, tropical region is famous for its incredible marine biodiversity. 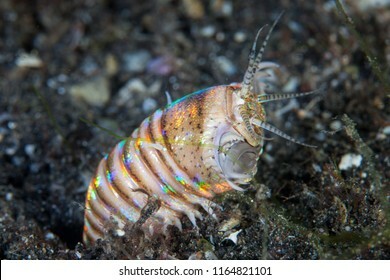 A scary Bobbit worm, Eunice aphroditois, appears out of its sandy lair in Lembeh Strait, Indonesia. This area is part of the Coral Triangle due to its amazing marine biodiversity. 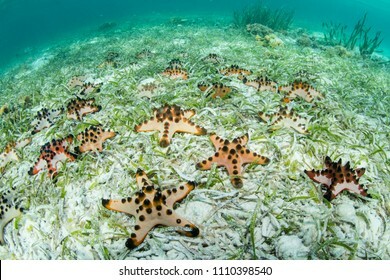 Chocolate chip starfish cover the seafloor of a seagrass meadow in Wakatobi National Park, south of Sulawesi in Indonesia. This beautiful region harbors amazing reefs and a wide array of marine life. 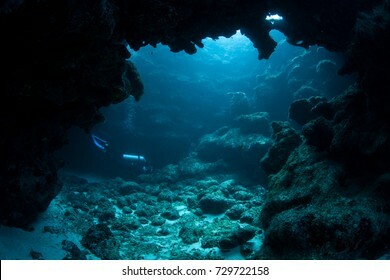 Light filters into a dark, underwater grotto in Grand Cayman. Small fish and invertebrates often use reef grottos and recesses to escape predators. 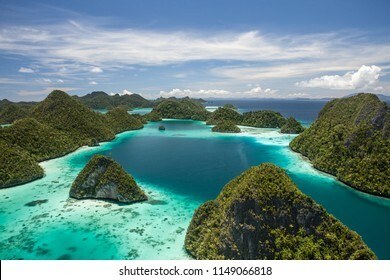 A beautiful beach and tropical island is surrounded by calm seas in the equatorial seascape of Raja Ampat, Indonesia. This unique region is best known for its vast array of marine biodiversity. 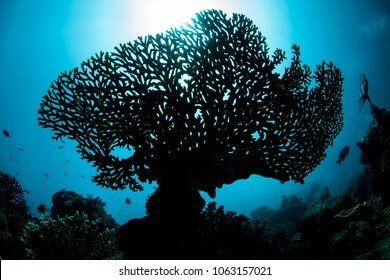 A beautiful coral reef, dominated by gorgonians, grows on the Mesoamerican barrier reef off the coast of Belize. 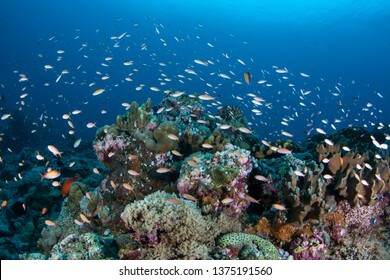 This part of the Caribbean Sea harbors hundreds of fish species and dozens of corals. 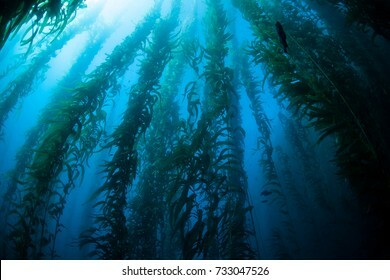 Giant kelp (Macrocystis pyrifera) grows in a dark, submerged forest near the Channel Islands in California. This area is part of a National Park and is teeming with thousands of marine species. 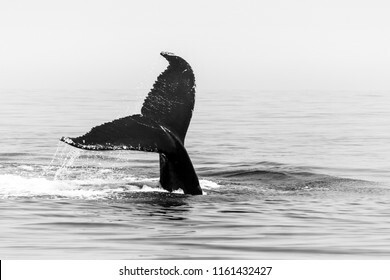 A Humpback whale, Megaptera novaeangliae, raises its tail to dive into the north Atlantic Ocean off Cape Cod, Massachusetts. Humpbacks feed in this fish and plankton-rich area much of the year. Water lilies grow on the edge of a freshwater lake in Cape Cod, Massachusetts. 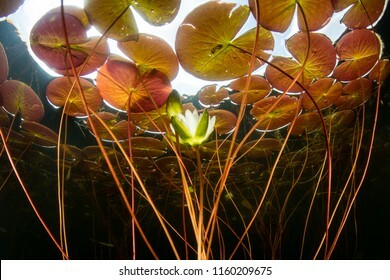 These aquatic plants provide habitat for many species and thrive during the summer in shallow temperate habitats. 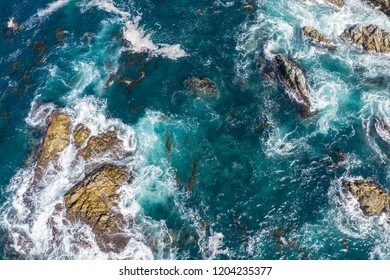 The cold, colorful waters of the North Pacific Ocean, wash against the rocky and scenic coastline of Northern California not far from Monterey. 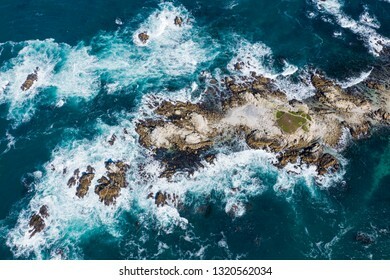 Kelp forests thrive in this coastal environment. 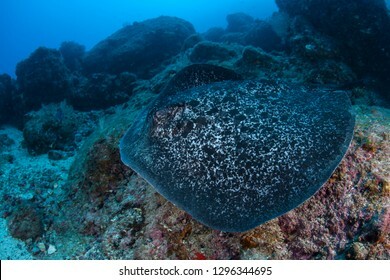 A Marbled stingray, Taeniura meyeni, swims over the rocky seafloor at Cocos Island, Costa Rica. This remote island is known for its large elasmobranch aggregations. 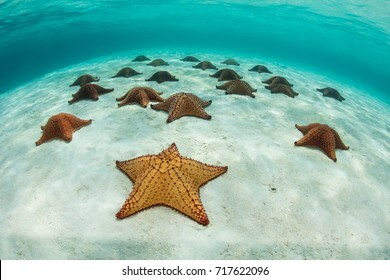 Colorful Red cushion sea stars (Oreaster reticulatus) lie on a shallow sandy seafloor off the coast of Belize in the Caribbean Sea. The San Pablo and Briones reservoirs, east of Berkeley and Oakland, are part of a complex network of watersheds that supply water to the East Bay. This area is popular for hiking and fishing. 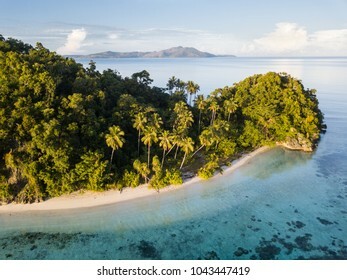 A beautiful beach on a remote island is found in Raja Ampat, Indonesia. This remote, tropical region is known as the heart of the Coral Triangle due to its incredible marine biodiversity. 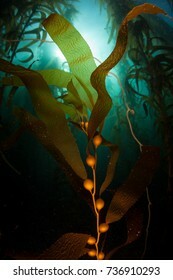 Giant kelp, Macrocystis pyrifera, grows in the cold eastern Pacific waters that flow along the California coast. Kelp forests support a surprising and diverse array of marine biodiversity. 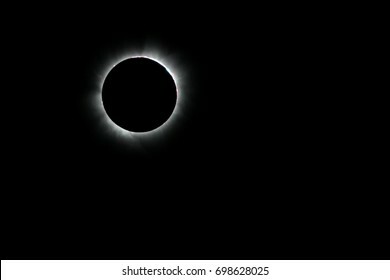 During a total solar eclipse the moon completely covers the sun allowing only the sun's corona to be seen by the naked eye. This is an incredible natural event that happens almost ever 18 months. 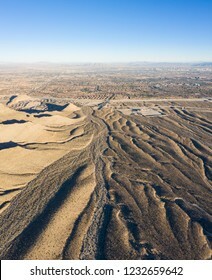 An aerial view shows eroded gullies leading towards the city of Las Vegas, Nevada. This beautiful desert area is full of tributary canyons with colorful, unique and dramatic geology. Blue-green damselfish hover above a large table coral in Raja Ampat, Indonesia. This remote, tropical region is known as the heart of the Coral Triangle due to its incredible marine biodiversity. 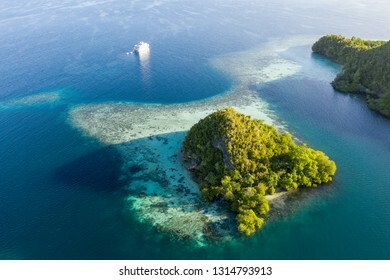 The beautiful tropical islands within Raja Ampat, Indonesia, are surrounded by healthy coral reefs. This remote region is famous for its incredible marine biodiversity. 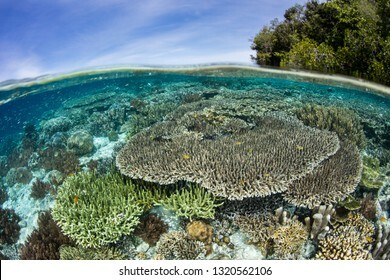 Gorgeous and healthy coral reefs grow throughout Wakatobi National Park, south of Sulawesi in Indonesia. This beautiful region harbors amazing reefs and a wide array of marine life. Sunlight silhouettes a fragile coral colony on a healthy reef in Raja Ampat. This tropical region is known as the heart of the Coral Triangle due to its marine biodiversity. 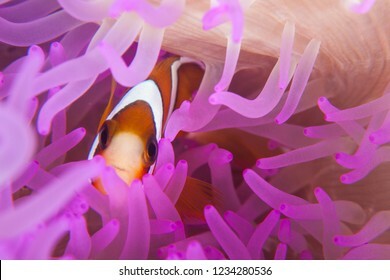 A Spinecheek anemonefish swims in its host anemone in Raja Ampat, Indonesia. 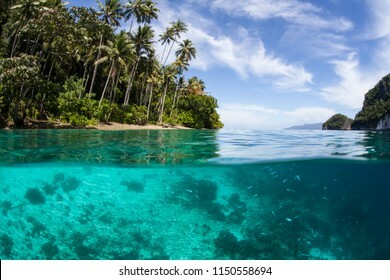 This remote, tropical region is known as the heart of the Coral Triangle due to its extraordinary marine biodiversity. 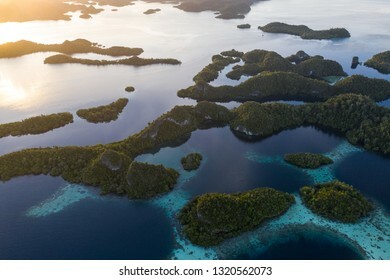 The islands found throughout Raja Ampat, Indonesia, are surrounded by flourishing coral reefs. This region is known as the "heart of the Coral Triangle" due to its extraordinary marine biodiversity. 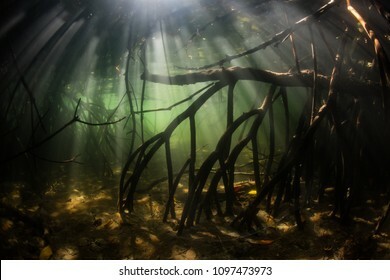 Sunlight filters into a dark, blue water mangrove forest in Raja Ampat, Indonesia. Mangroves serve as important tropical habitat for many juvenile fish and invertebrates. 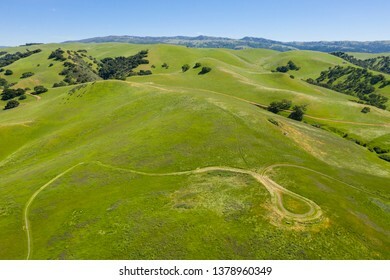 An aerial view of rolling hills in Northern California's tri-valley region shows lush, green grass that flourished after a wet winter. This beautiful area generally has a very hot, dry climate. 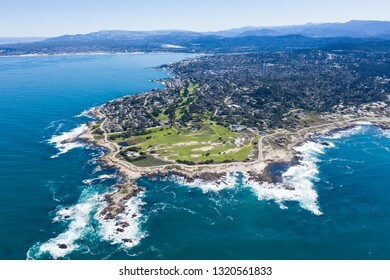 The nutrient-rich waters of the Pacific Ocean washes against the beautiful, rocky California coastline just south of Monterey Bay. This area is known for its spectacular natural scenery. 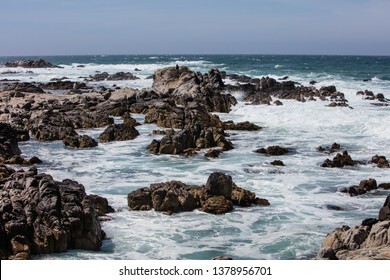 The nutrient-rich waters of the Pacific Ocean washes against the rugged and rocky California coastline just south of Monterey Bay. This area is known for its spectacular natural scenery. 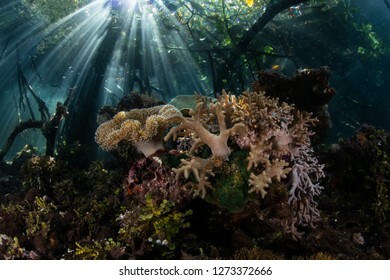 Sunlight shines into the shadows of a blue water mangrove forest in Raja Ampat, Indonesia. Mangrove habitat provides vital nurseries for many reef fish and invertebrates. 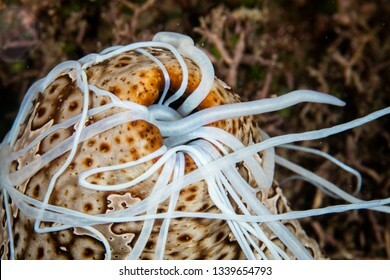 A sea cucumber, Bohadschia argus, emits sticky cuvierian tubules as a defensive mechanism in Komodo National Park, Indonesia. 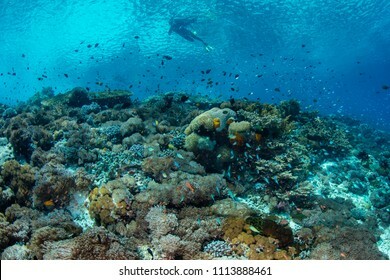 A snorkeler drifts above a coral reef thriving near the island of Alor, Indonesia. This remote region, within the Coral Triangle, is home to an extraordinary array of marine biodiversity. 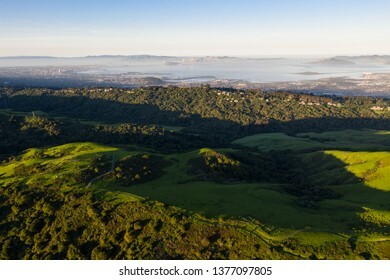 Morning light illuminates the hills surrounding San Francisco Bay. 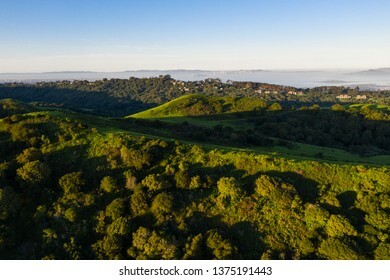 A wet winter has caused lush vegetation growth in the East Bay hills near Oakland and Berkeley. 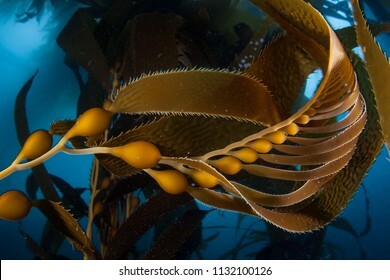 Giant kelp (Macrocystis pyrifera) grows in a thick, underwater forest near the Channel Islands in California. This area is part of a National Park and is teeming with thousands of marine species. 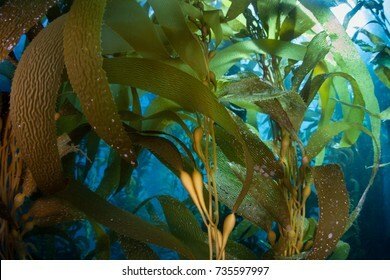 Giant kelp (Macrocystis pyrifera) grows in a dense, submerged forest near the Channel Islands in California. This area is part of a National Park and is teeming with thousands of marine species. 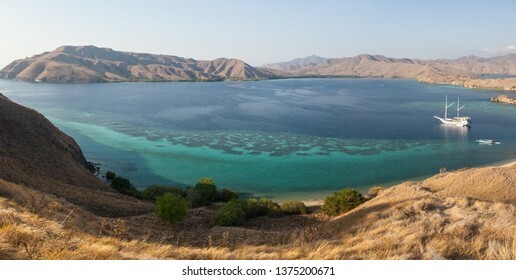 Dry grasses cover many of the islands in Komodo National Park, Indonesia. This region is known for its beautiful marine biodiversity. Vibrant corals and fish thrive on a current-swept coral reef in the Republic of Palau. This tropical island-nation is home to extraordinary marine biodiversity. 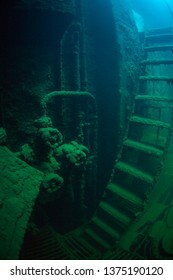 Detail of the engine room within the wreck of the Chuyo Maru, a Japanese ship that was sunk during World War II in the Republic of Palau. 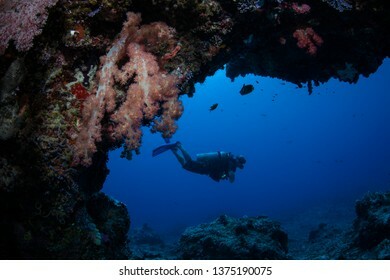 A scuba diver explores a deep cavern on a healthy reef in Palau. This tropical island-nation is home to extraordinary marine biodiversity. 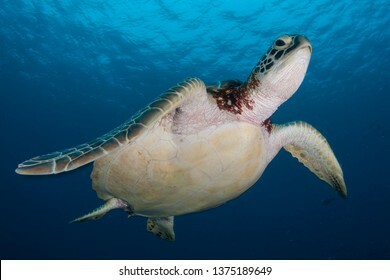 A Hawksbill sea turtle, Eretmochelys imbricata, swims in the clear waters above a reef in Komodo National Park. This tropical region is home to extraordinary marine biodiversity. 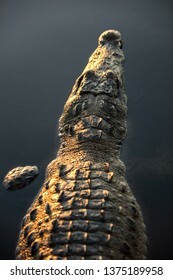 An American crocodile, Crocodylus acutus, lies still in a calm lagoon off the coast of Belize. 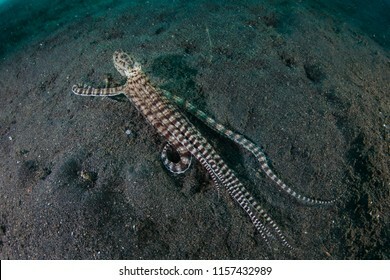 These dangerous reptiles can grow up to 10-15 feet in length. 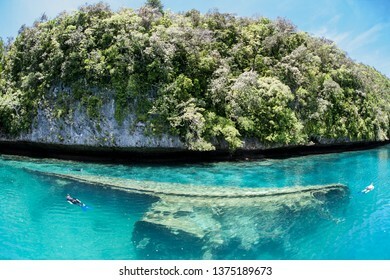 Snorkelers explore a small shipwreck found among the Rock Islands in the Republic of Palau. Shipwrecks often serve as artificial reefs, attracting corals and fish. 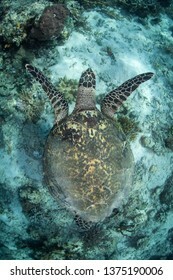 A Green sea turtle, Chelonia mydas, swims in the blue waters above a reef in Palau. This tropical island-nation is home to extraordinary marine biodiversity. 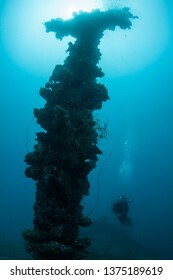 A diver explores the wreck of the Chuyo Maru, a Japanese ship that was sunk during World War II in the Republic of Palau. 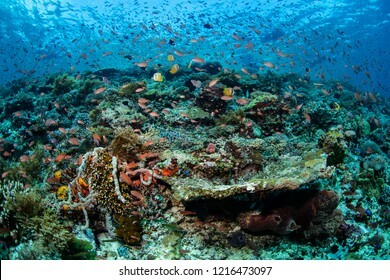 Shipwrecks often serve as artificial reefs, attracting corals and fish. 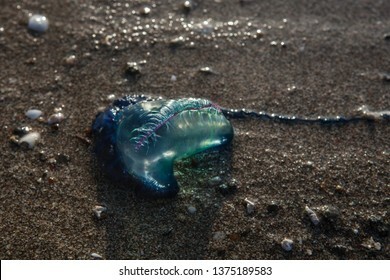 A Portuguese Man-of-War, Physalis physalis, has washed up on a beach in Komodo National Park, Indonesia. The tentacles of these gas-filled cnidarians are highly venomous and can cause intense pain.